This is the main finding of a new report—based on analysis of new mothers' blood samples gathered for a national health study—published Nov. 23 in the International Journal of Hygiene and Environmental Health. 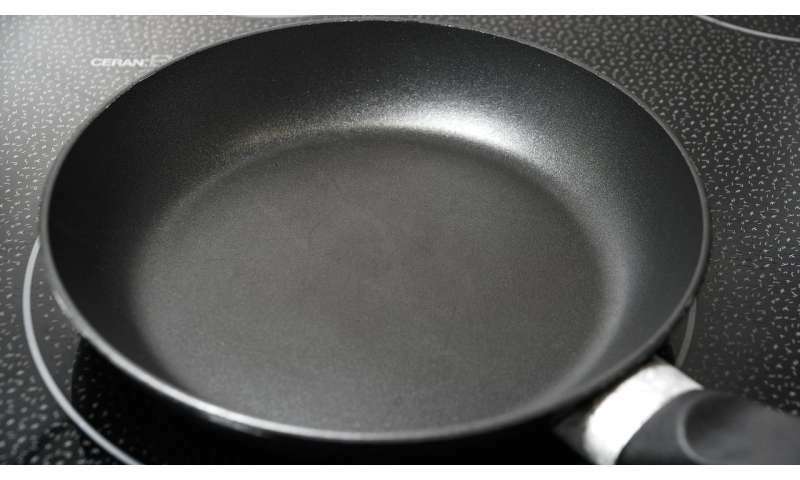 Scientists behind the research, conducted at NYU School of Medicine, say that studies have long linked the chemicals—famous for keeping food from sticking to pans—with high blood pressure, birth defects, and lower-than-normal birth weights. These damaging health effects were major factors behind a 2006 agreement between the Environmental Protection Agency (EPA) and American manufacturers to curtail and eventually eliminate the harmful chemicals' production in 2014. "The evidence is overwhelming that the EPA-industry accord to phase out chemicals once used in nonstick coatings has been a major success in protecting children's health," says study lead investigator and health epidemiologist Leonardo Trasande, MD, MPP, an associate professor at NYU Langone Health. "This policy designed to lessen human exposure has spared thousands of newborns from damage to their health and saved U.S. taxpayers over a billion dollars in unnecessary health care costs." A healthy newborn typically weighs about 8 pounds (3,600 grams), experts say, and a low birth weight—associated with potential brain damage—is considered anything less than 5.5 pounds (2,500 grams). Computer models were then used to project the percentage of low-weight births that could have been prevented from specific PFOA chemical exposure and to calculate the estimated health costs and lost income. According to the team's analysis, the number of low-birth weight babies in the United States attributable to such PFOA exposure dropped from a highpoint of 17,501 in 2008 to 1,491 in 2014.